I don't think that I have read a more appropriately titled book in a long time.....if ever. 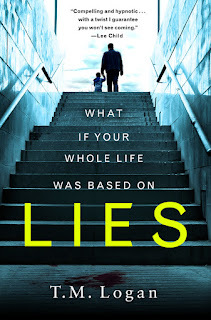 The title [book:Lies|33652433] ( St. Martin's Press, September 2018) certainly says it all. 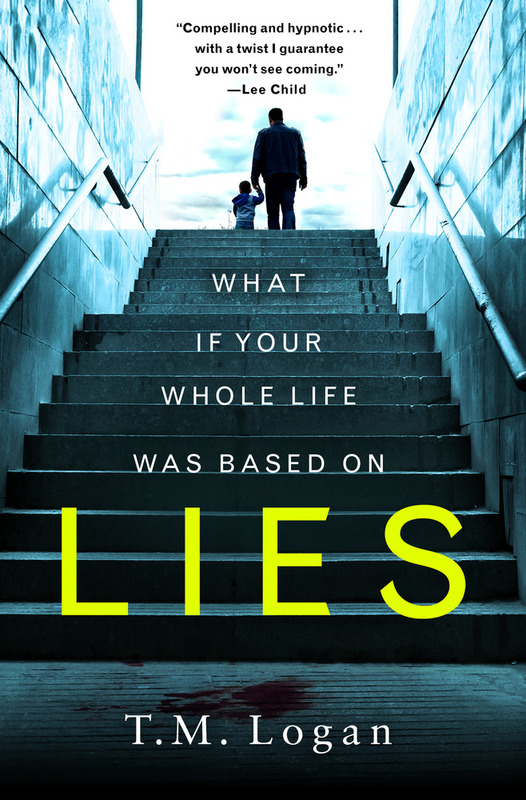 The book begins with a snap decision made by the main character, which leads to a little lie, which leads to bigger lies....and so it goes. 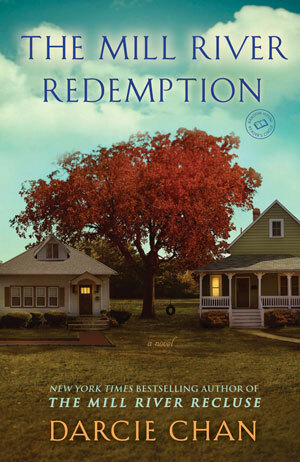 I was mesmerized by this book from beginning to end, and yet the story was highly believable. I could see myself, or others falling into the trap that Joseph and his wife Mel found themselves. In addition, the reactions of those around them were true to life. The characters were definitely interesting and well thought out. The author's portrayal of the villain was exceptional. In addition to fascinating characters, the flow of the story really intrigued me. 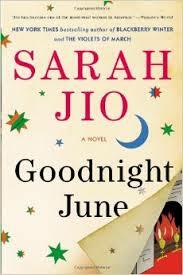 The plot was full of interesting plot turns and twists, some of which I could see coming, but most of which I did not. That is what drew me to the story the most. I confess, I am a sucker for plot twists, especially when they surprise me and as each one was revealed, I found myself more and more intrigued. By the time that I got into the meat of the story, I had a hard time putting the book down. This book definitely will go onto my highly recommended list and is one of the best books that I have read so far in 2018. The only downfall, if any, was my desire to skip ahead a few time, hence the 4.5 and not 5 star rating. In all truth, though, that rating might be more due to my desire to know if I was on the right track figuring out the next twist rather than any problem with the way the author laid out the story. 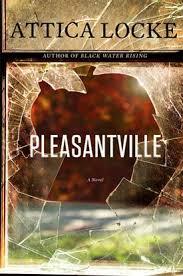 T. M. Logan is a "first time" author for me, and I would definitely give him a high five. I am putting his first book [book:29 Seconds|36217426] on my list of books to find and look forward to reading more by this author. I received a copy of this book from through Netgalley and would like to thank St. Martin's Press and the author for the opportunity. It has been forever since I blogged, and I have really missed it. Under the old format I was mostly blogging reviews, which I still enjoy doing, but it seemed like it was getting to be a chore in some ways and I think I just got burned out. At any rate, I have been thinking about reviving my blog for most of this year, and I have been trying out different scenarios in my head of ways to make a comeback and have come to the conclusion that I should just jump in and take the plunge. So here I am plunging away. The biggest difference that I intend to make with the blog is to blog about things other than reviews. Many times when I am reading a book and I have comments I want to make about the book, the writing style, the author in general, the type of book. I start all of these conversations in my head and I have decided that I should just write them down here. Writing a blog is a weird thing because unless people comment on what you write, you really have no idea whether people are reading your thoughts or not. I think to be a successful blogger, you have to do it for yourself as much as anything else. So here goes my second attempt. Hopefully you will like the new format and find things that interest you to read about. And if you feel like leaving a comment, I will certainly try to get back to you. I love Conversations. And I am passing it on to you. It lists 18 Historical Fiction books about witches and there are some really great ones on the list. Although I read all types of books, I would have to say Historical Fiction is probably my favorite genre. Something about reading books about other times and cultures just fascinates me. 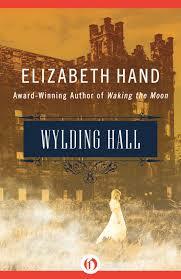 So any list that has Historical Fiction in the title gets my attention. Of the 18 books on the list, I have only read four, I own 4 more and have them on my to read list, and I have not heard of 10. I read The Witch of Blackbird Pond by Elizabeth George Spear while I was still in high school and it was probably my first fictional connection to the Salem/Colonial witch mania. I remember being enthralled by the book. The other three that I have read, The Heretic's Daughter by Kathleen Kent, The Physick Book of Deliverance Dane by Kaltherine Howe, and The Witch's Daughter by Paula Brackston have been read in the last few years. I would recommend them all, but I think that the Kathleen Kent book was probably my favorite. Another interesting tidbit, I believe that Kathleen Kent and Katherine Howe are both descended from Salem "withches". 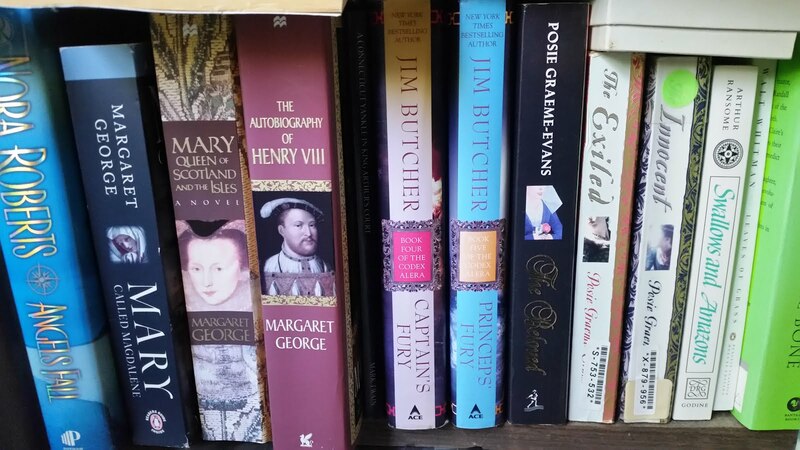 The four that I have to read are The Witches of New York by Ami McKay, The Secret History of Witches by Louisa Morgan, The Hangman's Daughter by Oliver Potzsch, and The Witchfinder's Sister by Beth Underdown. The Witchfinder's Sister is the next one on my list. As for the 10 that I have not heard of before...I will definitely by checking them out. There are a few books about witches that I have read that aren't on the list and should be, I think. The most notable one is A discovery of Witches by Deborah Harkness. Although it is a hefty book, it really held my interest and it read quite quickly. I am anxious to see what they do with the TV/Movie adaptation that is in the works. Another one that I would add to the list is Daughters of the Witching Hill by Mary Sharrat which I currently have checked out from the library. What is your favorite Historical Fiction book about witches? What about witchy books from other genres? Which ones do you recommend? 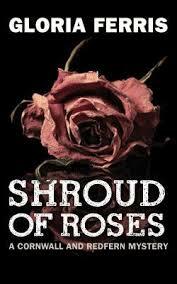 The first in a new trilogy centered around France's King Louis XV and four sisters who shared his heart and his bed. The new novel from the author of Hemingway's Girl. This novel centers around the marriage between author Nathaniel Hawthorne and artist Sophia Peabody. My copy of this book was provided by the publisher through Netgalley in exchange for my review. I have always been fascinated by other cultures, and among the first that I sought out information on when I was in elementary school were the Native Americans. Growing up in America I was told the story of Pocahontas and John Smith numerous times in my life, but it wasn't until I was an adult that I found out that Pocahontas and John Smith were never in love, nor were they ever lovers. There is so much mythology and fairy tale attached to their story, that it is a true find to come across a book that tells a more likely, and to my mind likable, story of the two. 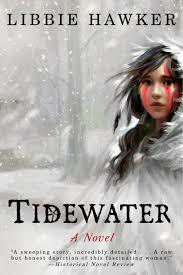 Tidewater: A Novel of Pocahontas and the Jamestown Colony by Libbie Hawker (Lake Union Publishing $10.95 in Paperback) is just such a book. When I saw it being offered for review, I knew I had to read it, whether I was awarded the ARC or not. The first thing that I noticed was that the book begins with the arrival of John Smith and his cohorts from the Virginia Company in America and their decision of where to set up the colony of Jamestown. In fact, although Pocahontas definitely plays a role in the first third of the book, the author mainly focuses on the developing relationship between the colonists at Jamestown and the Powhatan Indians. Pocahontas' father Powhatan, her uncle Opechanacanough, John Smith, and various other colonists are the main characters for this part of the story. Score one for both the book and the author. As the story progressed, I was very impressed with the way that the author peppered the story with the actual names and customs of the Powhatan Indians. In addition, she was meticulous in her descriptions of the colonists and the actual roles that each of them played, reminding us that John Smith was not the "leader" or president of the Jamestown colony at the time that he met Pocahontas. As the story unfolds, we get to the part where Pocahontas saves John Smith from death and the resulting development of their relationship. At this point in the book, Pocahontas takes on a more central role, as she most likely did in real life. Although the book at this point details her relationship with John Smith and, in the last third, her life in the colony, conversion to Christianity, marriage to John Rolfe, and eventual trip to England, the author does a great job of continuing to let us know what is happening with the other characters, most notably, John Smith, Powhatan, and his brother. Through all of this, we get an excellent picture of Pocahontas, her true role in the Jamestown story, and her eventual life as a Christian and Englishwoman. The one thing that struck me throughout this book, and perhaps my favorite thing about it, was the amount of detail and realism that the author included in this book. It was apparent from the beginning that she had done a lot of research, not only on Pocahontas her self, but on the Powhatan Indians in general along with the actual inhabitants of the Jamestown colony. I was definitely pleased, although not really surprised, when I came to the end of the book and found listed there the titles of several non-fiction books that the author used to research and develop her story. I definitely intend to check a few of them out. I ended up giving this book 5 out of 5 stars and am including it on my highly recommended list. It is a true gem and I will am thankful to Libbie Hawker for this more realistic glimpse of this interesting woman who was caught up in history. I still love my fairy tale stories of princesses, but this book is so rich with great characters and interesting details that it is a must read for anyone interested in this time period. It is my first book by this author, but it will not be my last! What's on tap for this week? Tuesday's Review will be on Tidewater, Libby Hawker's book on Pocahontas and the Jamestown Colony, which was a 5 star read for me. 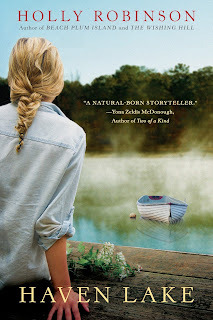 Thursday's Review will be on Holly Robinson's Haven Lake, which I feel is her best work yet. I must have read Goodnight Moon to my son a billion times when he was little and a book based on Margaret Wise Brown is a real draw for me. LOVED Darcie's book The Mill River Recluse back in 2011 when it was first published and was excited to get a copy of the third book in the series. 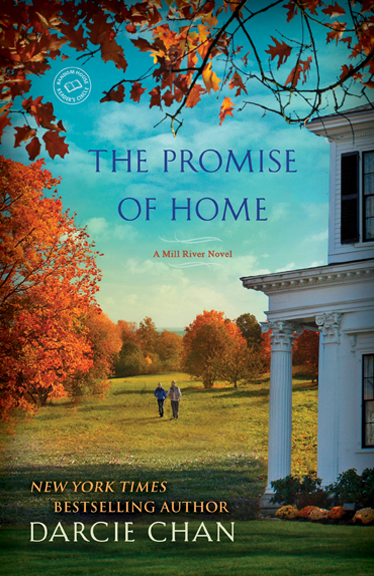 I am currently finishing the second book, The Mill River Redemption, and then will follow up with The Promise of Home. 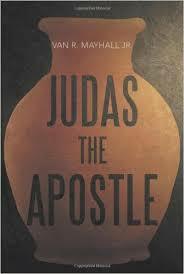 Judas the Apostle by Van Mayhall Jr.
REVIEW: Auraria by Tim Westover. A Modern Day Folktale......Sort Of? ?